In February, my husband and I took our toddler, Daniel, and 5 year old, Matthew, for a 3 night break in London. This was the first time Daniel had been to London, and he was so excited about going on a train from our house to London and an underground train when we arrived at King Cross. 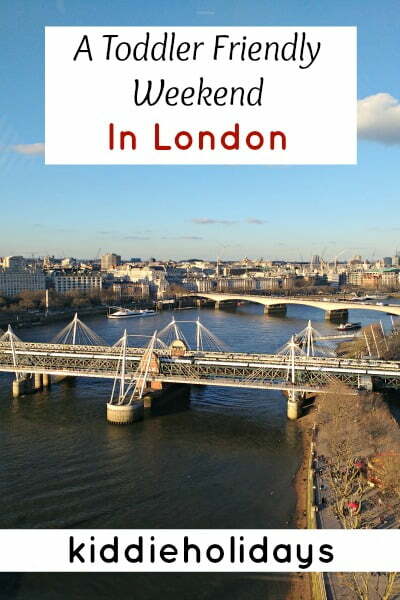 London is a huge city so I’m not going to attempt to write about all the things to do on a toddler friendly weekend in London, but instead I’m going to talk about our long weekend there and what we did. 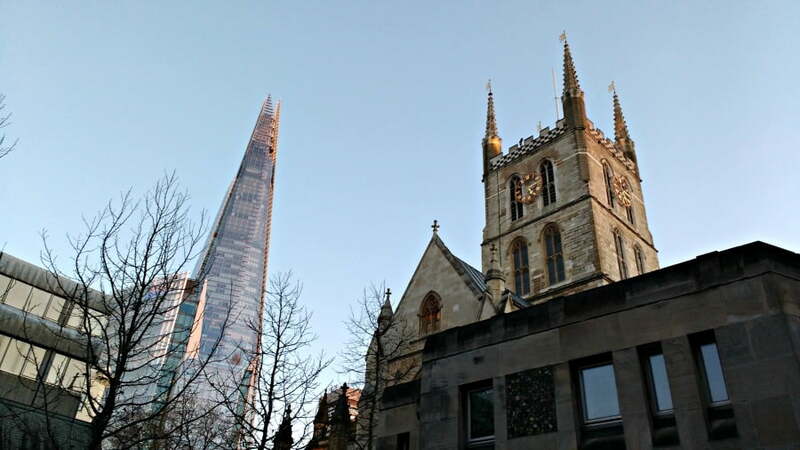 We stayed in the Bankside area on the south side of the river and visited things in central London only. The aim was to enjoy our weekend in a relaxed manner, rather than planning an exhausting itinerary trying to cram in visits to all of London’s museums. I’m hoping that this will be the first of many weekends in London. We stayed at the Premier Inn Southwark Bankside which was a great choice for us. It’s not the most glamorous option, but at £99 a night for a family room, it was good value, quiet and the location was perfect. 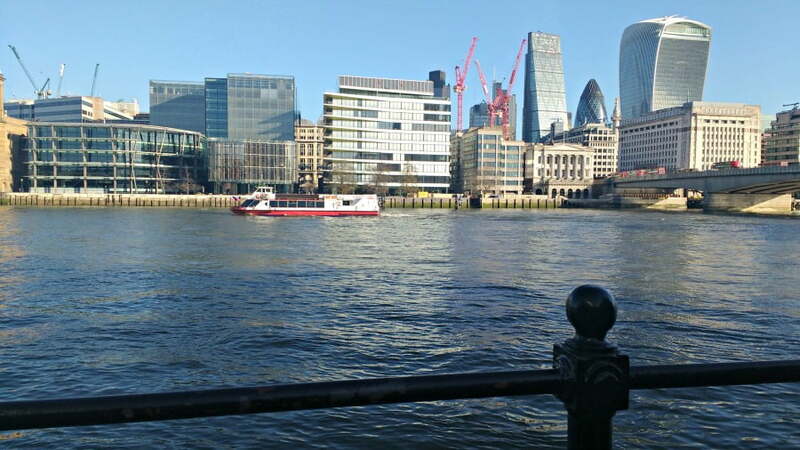 It was about a 10 minute walk to London Bridge Tube station which is on the Northern Line and Jubilee Line, and from here you can get pretty much anywhere in London. Be aware though that the lift wasn’t working at London Bridge when we were there so buggy users would have to carry their pushchair up and down A LOT of steps. The area around the Premier Inn is pedestrianised so children can run around quite safely outside the hotel – plus, it has the added attraction of being next to the River Thames so there are plenty of opportunities to see boats going up and down the river. 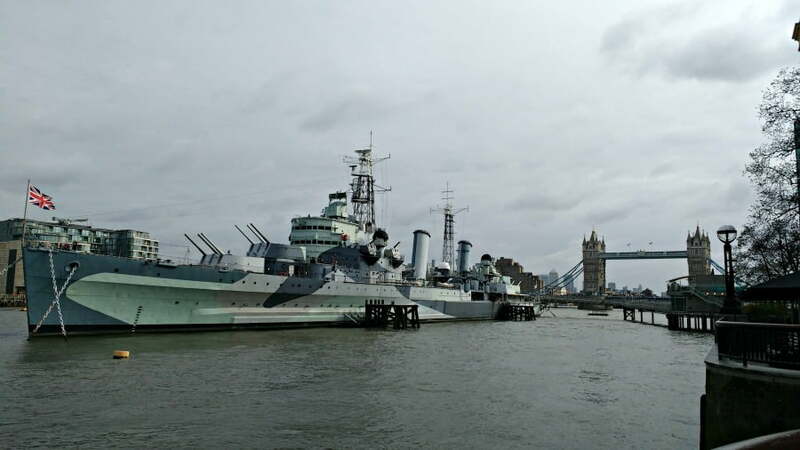 You also great views of the City of London, Tower Bridge and HMS Belfast. There is also a nice buggy friendly path alongside the river up to the London Eye from the hotel. The Cheval Three Quays Residences are serviced apartments in central London overlooking the River Thames. If you want to splash out, take a look at the Athenaeum Hotel in Mayfair. 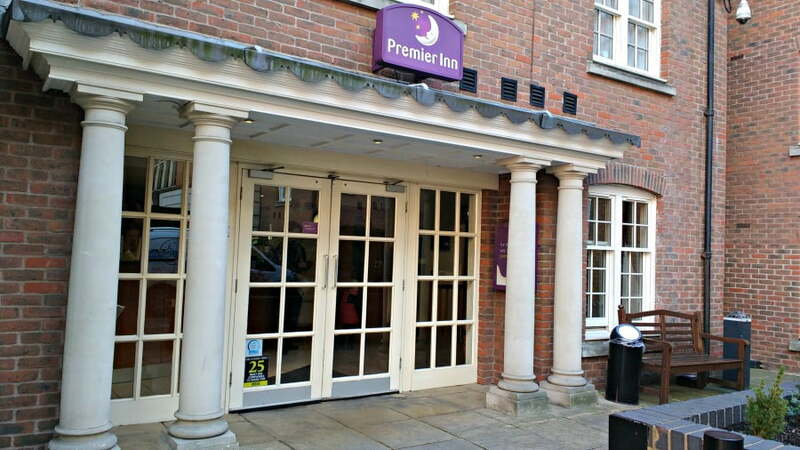 We ate our breakfast at the Premier Inn but went to different restaurants around the area in an evening. All the main chain restaurants, such as Pizza Express, Café Rouge and Zizzi, are close by to the Premier Inn, as well as the famous Borough Market which is a few minutes walk away. Borough Market is a renowned food market selling lots of local and international produce – it is well worth a browse if you are a foodie. 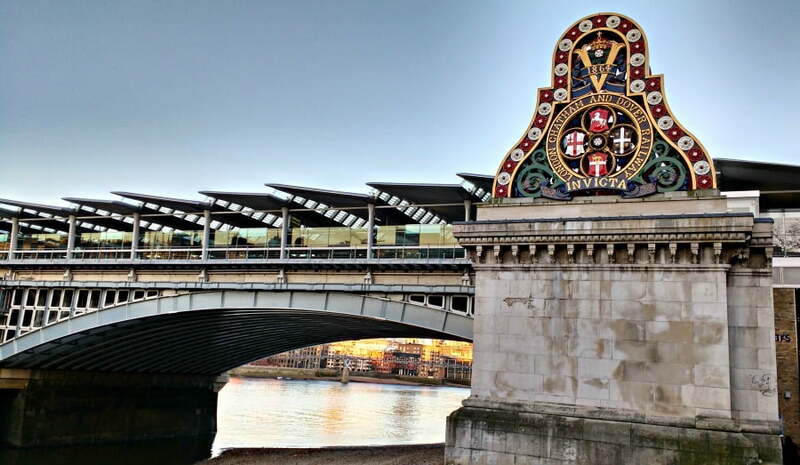 The London Bridge / Bankside area of London is heaving with restaurants catering to all different tastes and budgets – the Visit Bankside website has a great list of all the restaurants in the area so you can plan where to eat beforehand. Top tip – We had a great meal out at a Turkish restaurant called Tas on Borough High Street. They don’t have a Kids Menu as such, but we ordered a main meal with 2 plates for our boys to share – the food is fresh, served quickly and delicious. My boys loved the Tube – in fact they still talk about going on the ‘underground train’ in London now. We actually only got the Tube twice during our weekend to get to and from Kings Cross, but the rest of the time we walked. 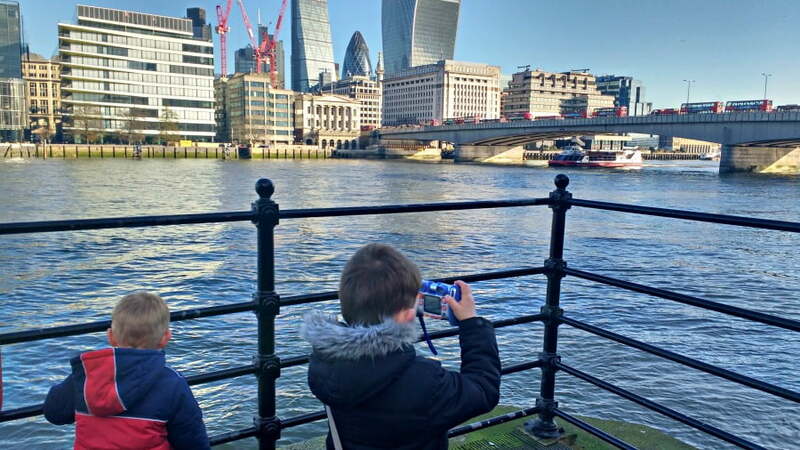 I love walking in London – I think it is the best way to see the city, and there is always something to see or an interesting place to point out to children. Plus it is a good way of toddlers letting off steam. Most of London is buggy friendly, and actually the distances between stations aren’t as big as you think. This map of the Tube has the time it takes to walk between stations on it – sometimes it can be quicker to walk than get the Tube. Top tip – If you fancy a trip on a bus without paying for an open top bus tour, the RV1 bus from Tower Gateway to Covent Garden has been described as ‘one of the best routes for sightseeing on a budget’. It goes from London Bridge along the south side of the river past the London Eye to Covent Garden taking about 30 minutes. It’s a great alternative if you think your toddler would like a trip on a bus but you don’t think they will sit still through a long tour. View of the City of London from the south side of the river. We had 2 full days in London, and were out and about both days. We grabbed sandwiches on the go, and spend a lot of time outside as the weather was really nice and sunny. These are some of our favourite things we did over the weekend. The Thames Path is a 40 mile path stretching from Richmond in the west past the Thames Flood Barrier in the East. It runs just past the Premier Inn Bankside where we stayed, so on our first afternoon in London we had a walk along it up it to the London Eye. This part of the Thames path is buggy friendly and is fully pedestrianised so there are no busy roads to contend with. It is a couple of miles walk so bring a pushchair for your toddler to get into if they get tired, but there is loads to see along the way so my boys seemed to run most of it. We walked past the Tate Modern, Millennium Footbridge (used to be known as the Wobbly Bridge) and Shakespeare’s Globe theatre up to the Southbank and the Royal Festival Hall. There are great views of the river itself as well as buildings at the other side of the river including St Pauls Cathedral, MI5 and Big Ben and the Houses of Parliament. There are lots of street entertainers dotted along the way too, which the kids loved watching. 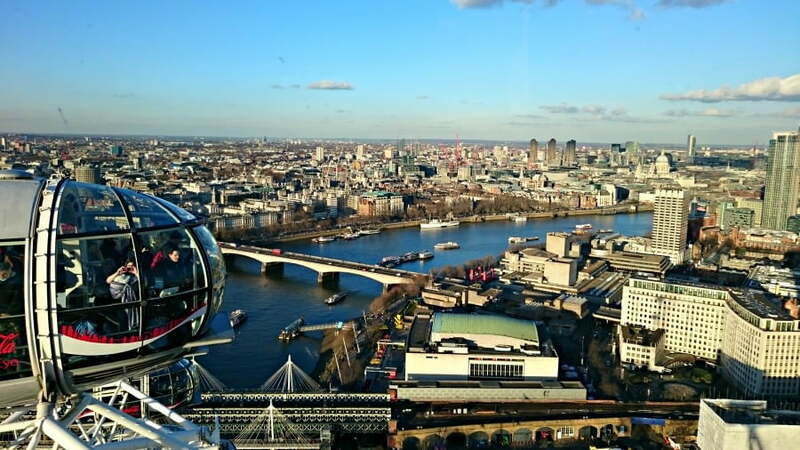 A flight on the London Eye is a great way to see London from above. I had a Buy One Get One Free ticket for the London Eye which we planned to use if the weather was nice and we knew we would get good views. We queued for about 30 minutes for our turn and then entered our capsule. Top tip for anyone going on the London Eye with a toddler – make sure you take them to the toilet beforehand so they don’t need a wee when you get to the top of the London Eye. This happened to us, and I had to grab an empty coffee cup and let him go in that and hold onto it for the rest of the flight in case it got knocked over much to my husband’s amusement. There are public toilets near to the London Eye at a mouthwatering 50p a go! 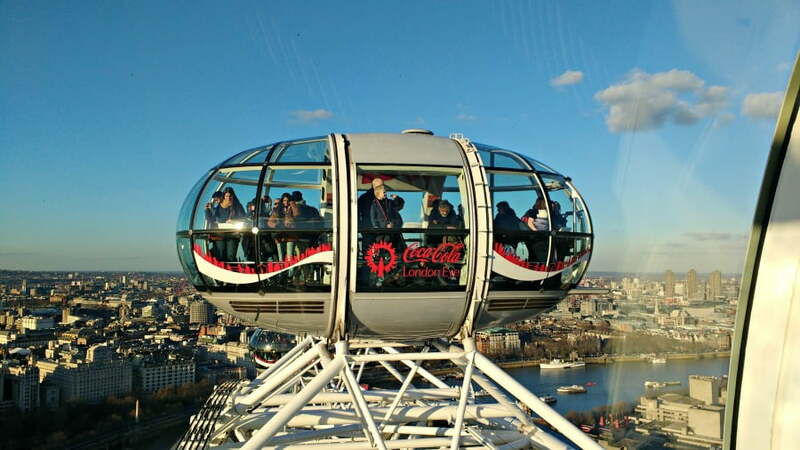 Top Tip – You can get a BOGOF ticket for the London Eye and other attractions if you travel by train. The Sky Garden is a garden 155m up a walkie talkie shaped skyscraper in Fenchurch Street in the City of London. Tickets are FREE if you book them in advance via the Sky Garden website. If you go on a clear day, you can get fantastic views of the whole of London including The Shard which is just across the river. For toddlers, there are over 3 storeys of landscaped gardens and public spaces to explore at the top of the tower as well as an observation deck and open air terrace. There is also a café at the top serving coffee, cakes and pastries. 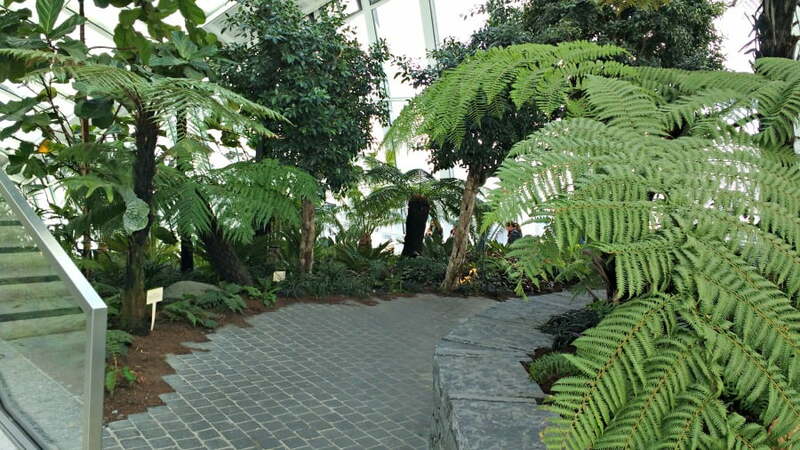 Top Tip – Tickets to the Sky Garden become available about 8 weeks in advance and are very popular. Set a diary reminder to remind you to book your tickets. We loved the London Duck Tour. Most people have seen these bright yellow amphibious vehicles taking tourists round the streets of London before lining up by the MI6 building and racing down a ramp into the river. 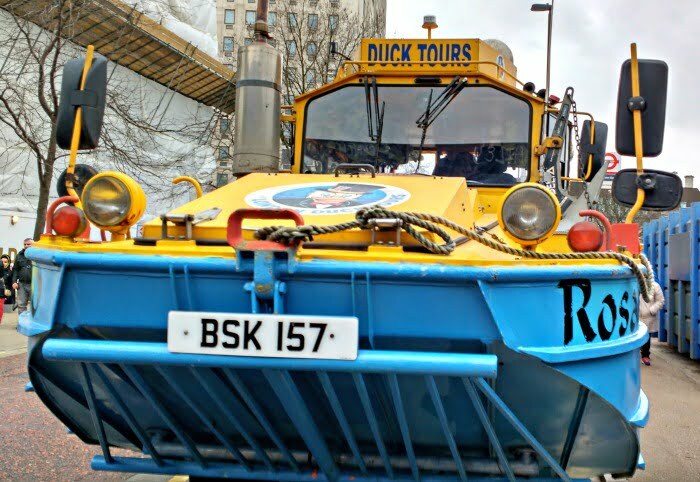 At just 75 minutes long, the Duck Tour is perfect for a toddler’s short attention span and the beauty is that it combines a bus tour and a boat tour in one. The tour guide was funny, entertaining and knew how to pitch the tour at children telling them lots of interesting facts. HMS Belfast is a World War 2 battleship moored on the River Thames against the backdrop of Tower Bridge and the Tower of London. You can’t miss it when you are spending time in that part of London. As soon as my boys saw it they wanted to go on it. We spent a couple of hours exploring the ship and learning about its role in World War 2. 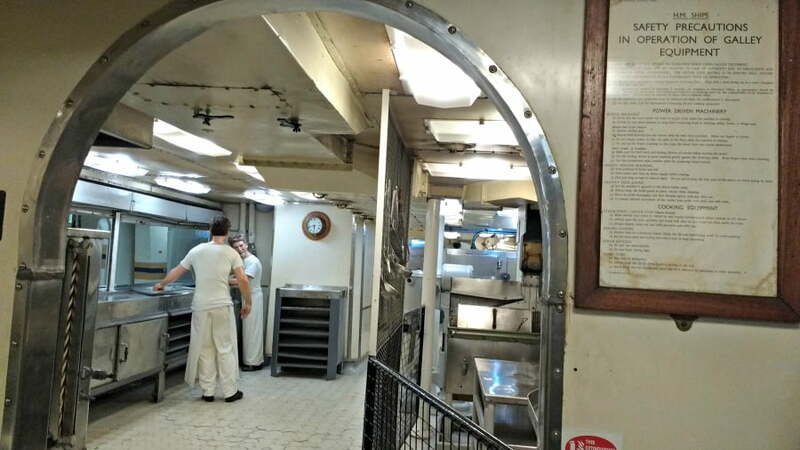 We saw where the sailors slept, ate, the kitchens, the medical bay as well as the Engine Room, Boiler Room and Shell Room. 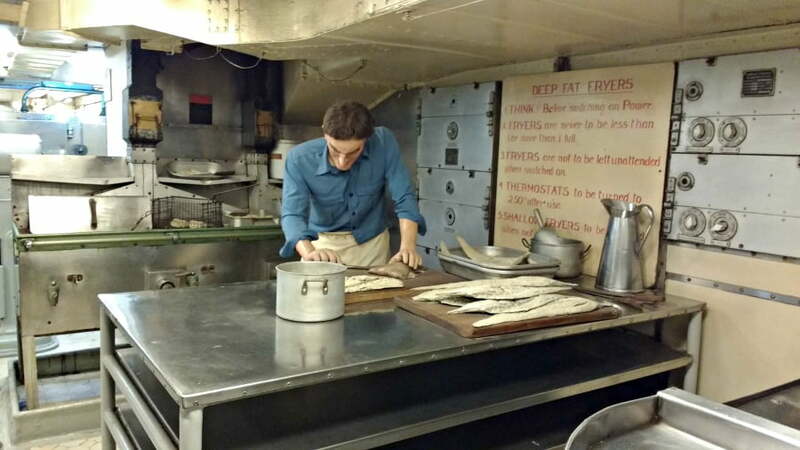 The kitchens on HMS Belfast. There are quite a few steep steps and ladders so you have to be prepared to carry small children up and down these parts of the ship. It isn’t suitable for prams either. There are quite a few seasonal activities which take place during busy times so take a look at the website beforehand to see what it is going on. •	You can use Contactless to pay for your Tube tickets so you don’t need Oyster cards anymore. Children under the age of 11 can travel for free on the Tube, Buses and DLR with their parents. •	If possible, I’d recommend you try and make a long weekend of it. We actually stayed for 3 nights which was just the right amount of time for us. London is quite tiring, as you are out and about most of the day, but a bit longer gives you time to relax and enjoy it rather than just racing between all the destinations. •	We grabbed sandwiches on the go for lunch which saved time and money. •	If you are travelling to London by train, you can get 2 for 1 tickets at loads of attractions. Print out your tickets beforehand and bring them along. •	Bring your pushchair, but be prepared to have to find Tube stations with lifts or you will have to carry them up and down the stairs. •	We found booking a hotel in central London useful in case we wanted to pop back for an hour during the day for our toddler to have a rest. This seemed to refresh him so he was raring to go for the rest of the day’s activities. If you’ve been on a toddler friendly weekend in London, I’d love to hear how you go on –where you stayed and what you did. Let me know below. You should definitely check out the Sky Garden Cathy! 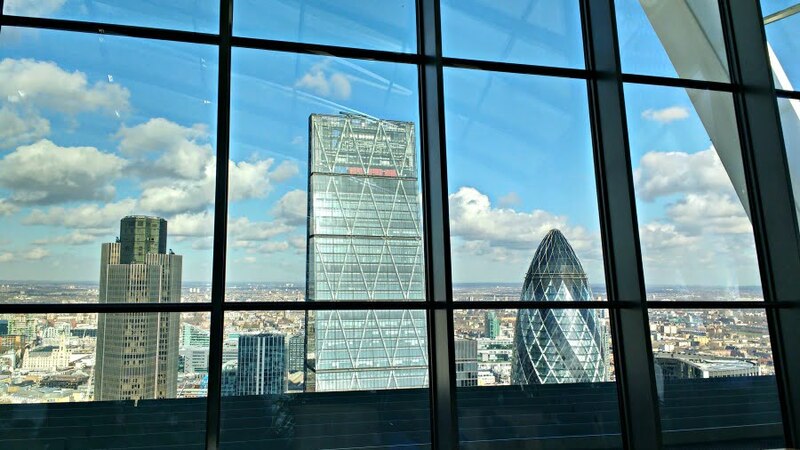 Your daughter would love running round the garden at the top of the Walkie Talkie building – and the cafe at the top is pretty good too! You are lucky to live so close to London – I’d love to spend more time exploring the city, but it’s a long way from Yorkshire. 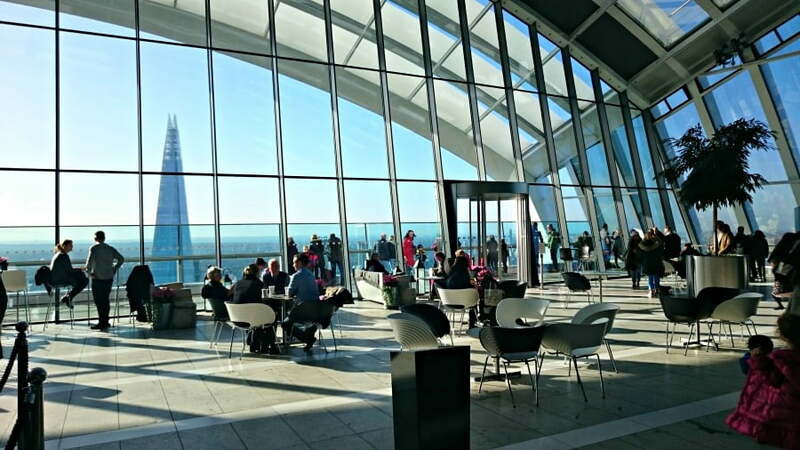 You should definitely check out the Sky Garden – there is a fab cafe at the top and it’s free! What a lovely weekend! We love London as my partner lived there for over 7 years before we were together so we try and go back quite a lot. We haven’t taken Mia yet as it would be quite a journey from where we are now in Nottingham but our plan is to take her this year as she is just 3. You should definitely look at the Sky Garden Becca – it’s FREE and there is loads of space for toddlers to run around too!! Love all of the recommendations – I really want to do the London Duck Tour, I think my kids would love it! I am taking my boys to London for the first time this summer and found all these tips and suggestions very helpful an timely. My boys will like the boats, buses and trains for sure! Thanks for letting me know about this map Nicole – really useful.